Hello! My name is Kylie and I have created this site so that I can share my SF experiences and adventures! My meal @bigsurbakery exceeded all expectations. Sharing it with my Grandpa was something incredibly special 💛 more details to come about this amazing restaurant and my weekend with gramps! 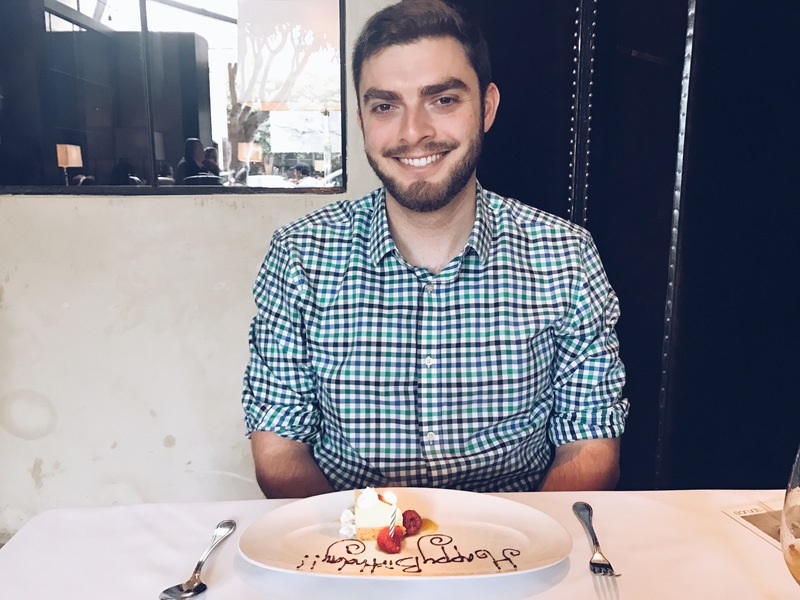 Yesterday was Nick’s Birthday! I spent Saturday making my first homemade birthday cake. The peanut butter cake with chocolate frosting was a challenge but was so rewarding. Sunday morning we woke up and headed to Spruce. We sat down at a table in their library and there was a card waiting for Nick. 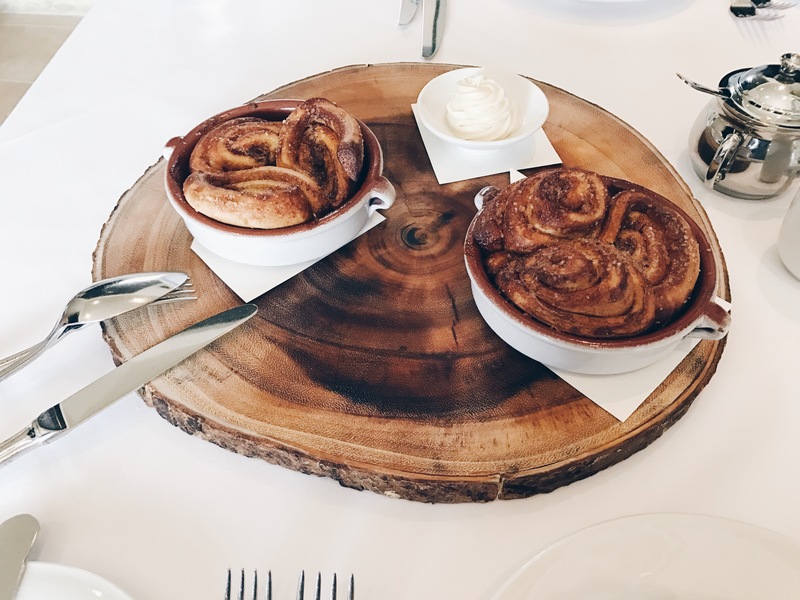 We started with the cinnamon rolls which came out on a wood cut and was served with a fantastic frosting that balanced the cream cheese and sugar perfectly. For our entrees, Nick got the Eggs Benedict with a side of bacon and I ordered the burger. The bacon was just as tasty as it looked! The “benny” was served on their housemade English muffin and came with mushrooms, ‘nduja, broccoli, and mixed greens. The burger was just as good as the last time I visited. I snagged a piece of Nick’s bacon and added a Jidori egg. The fore mentioned combination with the muffin bun, gruyere, and medium rare patty was fantastic. At the end of the meal, our waiter brought out a birthday treat for Nick. The entire staff was so attentive and really made Nick’s birthday celebration that much more special. I highly recommend Spruce’s brunch and celebrating special events at this Michelin star restaurant. This past weekend my best friend Anna and her boyfriend Sam came to SF for the weekend. This was my first time meeting Sam and a couple months before their planned visit Anna sent me a list of places in SF he wanted to try. Planning this weekend was such a treat and I tried to hit as many places from his list that I could incorporate but also add in some of my SF favorites. Friday night we enjoyed dinner at Tosca Cafe (definitely get the meatballs) and enjoyed the hectic fun of North Beach on St. Patrick’s Day. Saturday we attended brunch at Foreign Cinema. Nick and I had been to dinner at Foreign Cinema to celebrate my birthday back in December. Going back for brunch with Anna and Sam presented me the perfect opportunity to try the French Toast I had heard so much about. After each enjoying some much-needed caffeine we started with oysters and ordered our entrees. Nick and I shared the Croque Madame and the Champagne Omelet. 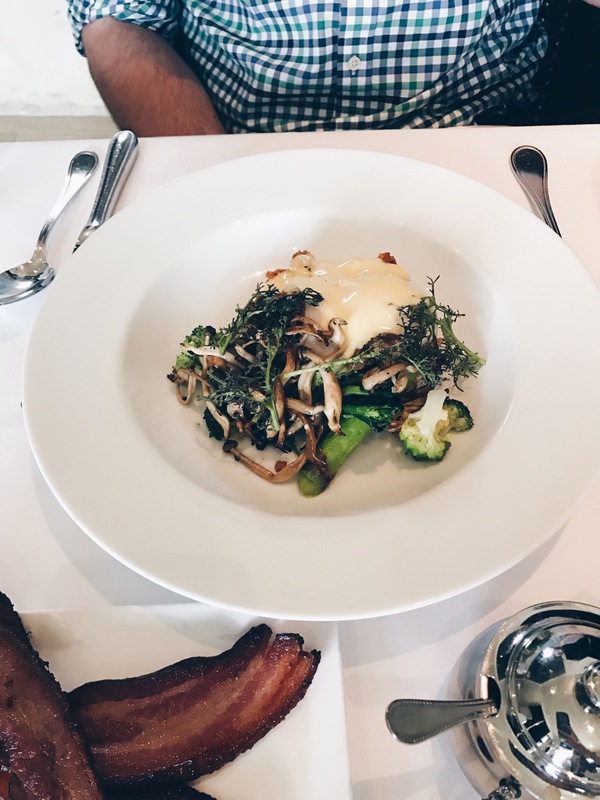 The Omelet was airy and light and the asparagus and prosciutto were folded in beautifully. 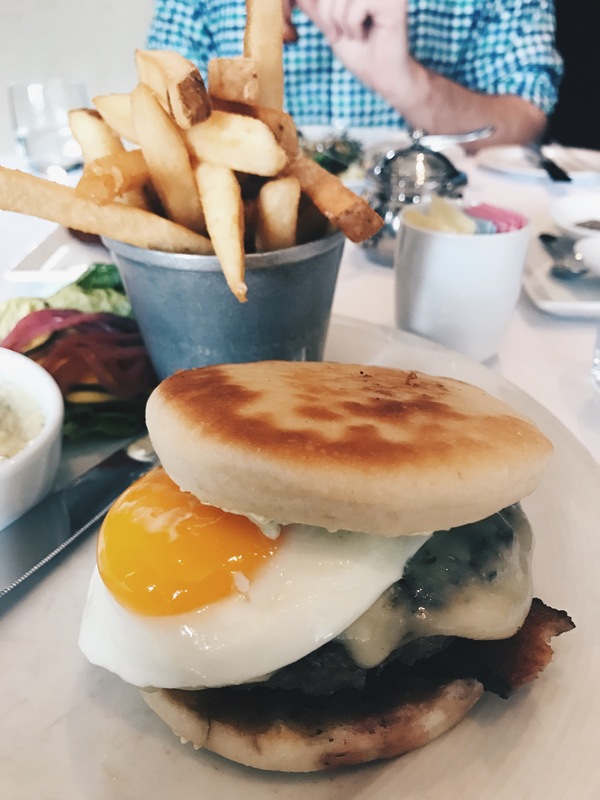 The Croque Madame was magic. The homemade bechamel made each bite more fantastic than the last. This combination of toasted ham and Gruyere was Anna, Sam, and Nick’s favorite part of the meal but I had to disagree after trying the French Toast. Foreign Cinema’s french toast is my pick best French Toast in the city. The combination of coconut, pineapple, almonds, and mascarpone with the baguette was divine. Never would I have thought that as a simple french toast lover that this combination would bring so much joy in every forkful. I look forward to going back for the French toast as the seasons change and the plate is served differently. The foodie tour continued to Tartine, NOPA, and Souvla, and I’ll be sharing more from each of these stops soon!